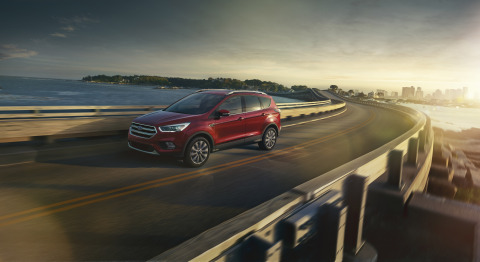 DEARBORN, Mich.--(BUSINESS WIRE)--Ford Escape and Lincoln MKC sales are off to their best start in company history during the first five months of the year, prompting the company to shorten the traditional two-week summer shutdown at Louisville Assembly Plant to build more than 8,500 additional vehicles there. Ford Motor Company is a global automotive and mobility company based in Dearborn Michigan. With about 202,000 employees and 62 plants worldwide, the company’s core business includes designing, manufacturing, marketing and servicing a full line of Ford cars, trucks and SUVs, as well as Lincoln luxury vehicles. To expand its business model, Ford is aggressively pursuing emerging opportunities with investments in electrification, autonomy and mobility. Ford provides financial services through Ford Motor Credit Company. For more information regarding Ford and its products and services, please visit www.corporate.ford.com.